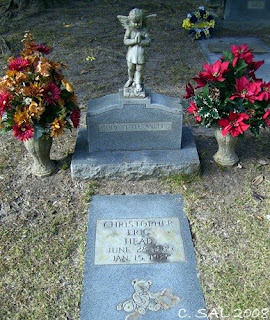 Christopher Eric Head died on this date 22 years ago. He was born 28 June 1985. This "Little Angel" was buried in Magnolia Park Cemetery, Warner Robins, Houston County, Georgia.